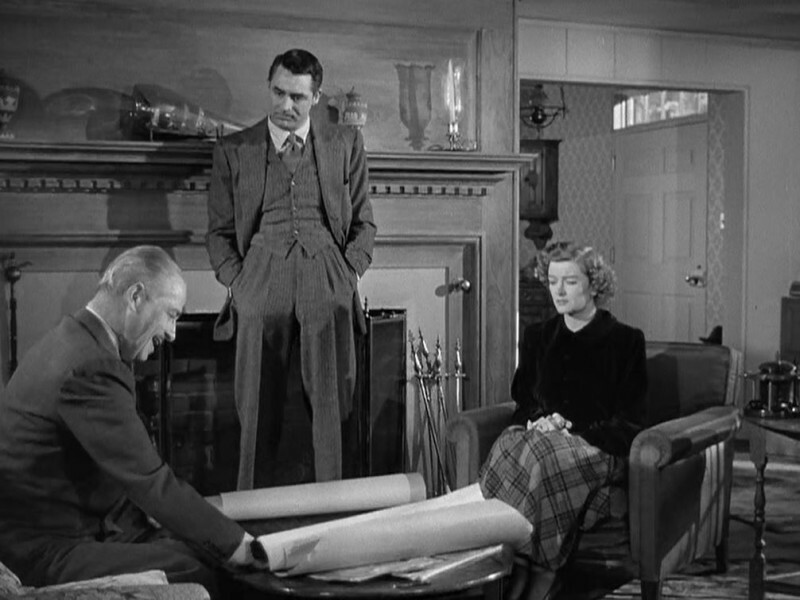 When the now-classic Cary Grant-Myrna Loy comedy Mr. Blandings Builds His Dream House premiered in 1947, it was promoted in a BIG way. 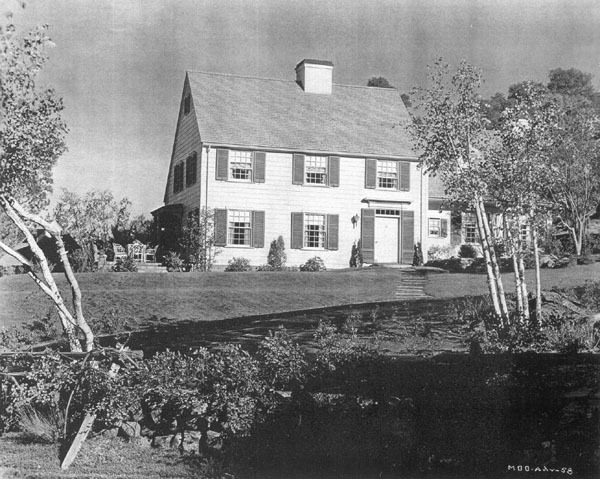 They actually built dozens of replicas of Blandings’ dream house across the country so moviegoers could tour them in person, and many of them were raffled off. One of those replicas that was built in Ottawa Hills, Ohio, is on the market right now, so let’s see how it has changed over the years! Note: This post has affiliate links that may earn me a commission but won’t change the price. 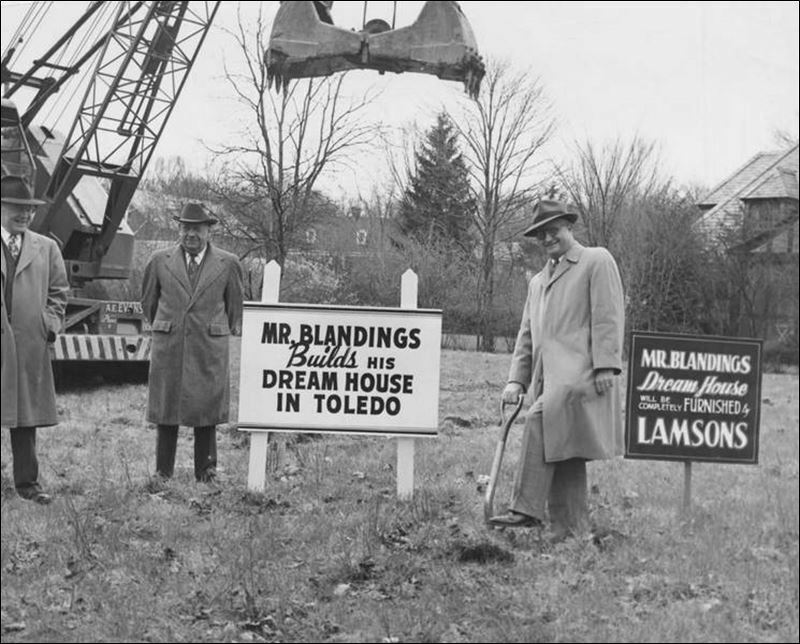 Thousands of people toured the Blandings Dream Homes in the 1940s. The replica has three dormer windows that the original didn’t, but the rest looks pretty much the same. 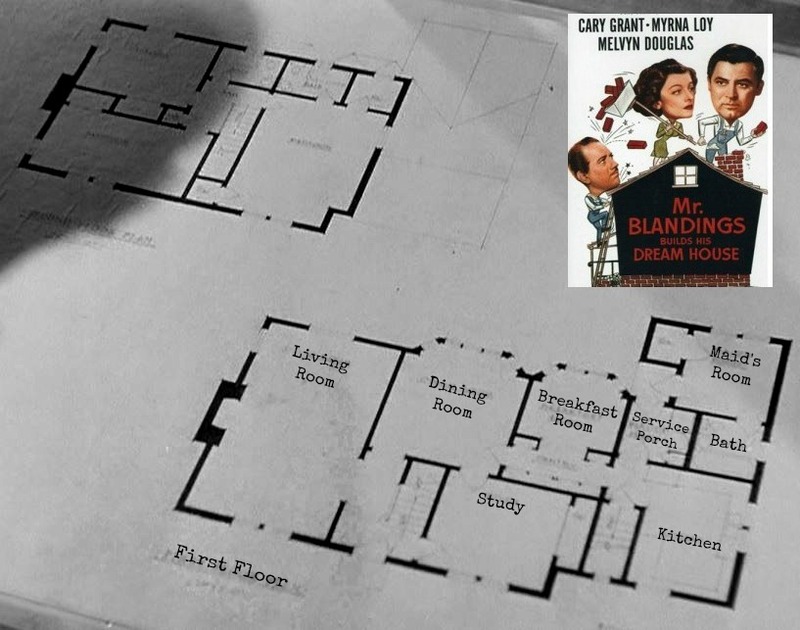 The original floor plans their architect “Simms” presented to the Blandings has, he says in the movie, “three family bathrooms and two adjoining baths.” They made a lot of changes as the house was being built that drove the price up, but it’s fun to see what they started with. The real house has 4 bedrooms, 3.2 Baths, and 2,837 square feet. 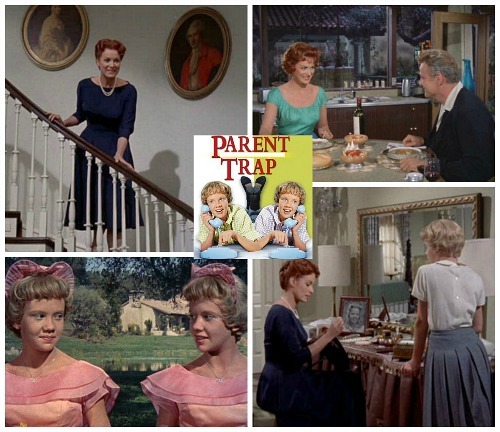 Mrs. Blandings told her painter she wanted her living room to be green, too. 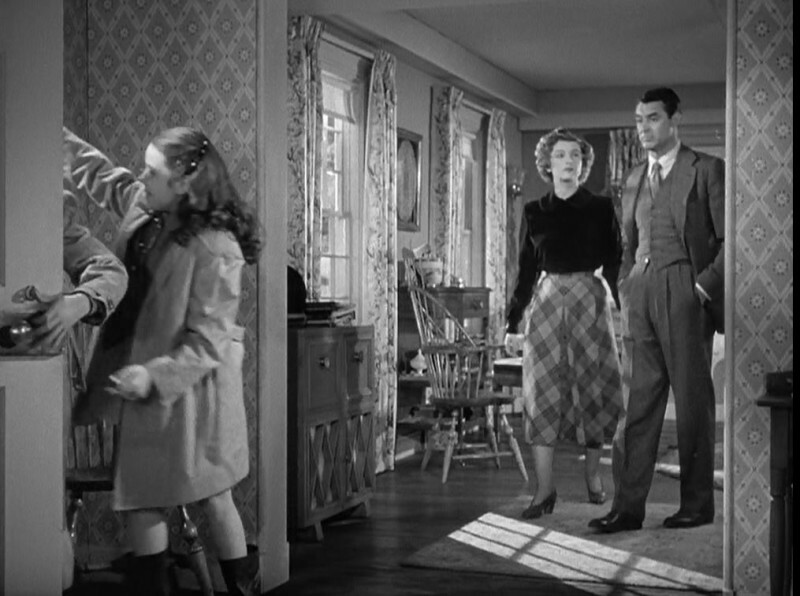 The extra-wide fireplace in the Ohio version is similar to the one in the film. The two windows in the room are in the same spot, too. 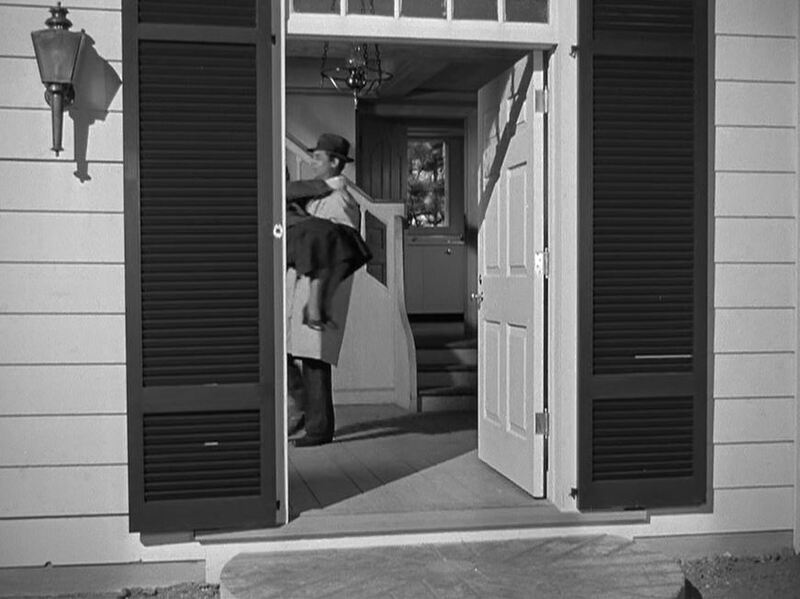 It’s fun to see how similar it is to the dining room in the movie, down to the fireplace and louvered door! Rich details, built-in cabinets, bay windows, polished hardwoods & woodwork set the tone. 5 fireplaces, 3 1/2 tiled baths, sunroom off den, large eat-in kitchen. Huge master with 4 closets, finished 3rd floor plus paneled rec room with bar, A/C, private patio. I bought the DVD (affiliate link) and we watch it around the holidays each year (even though it’s not a Christmas movie!). *There are Amazon affiliate links in this post, thanks! Fun! I just checked and you can rent it on Amazon. I’m going to watch it. I love old movies! I can’t figure out any way from the floor plan that you would be able to see the the kitchen from the front door. In fact, comparing the floor plan and front elevation, it almost looks like you would enter into the study, not even near a staircase! The plans do show a entry/stairwell in the center of the house, but that’s not where it shows on the outside elevation, and also that would look into the dining room. Oh, don’t take the floor plan too seriously. 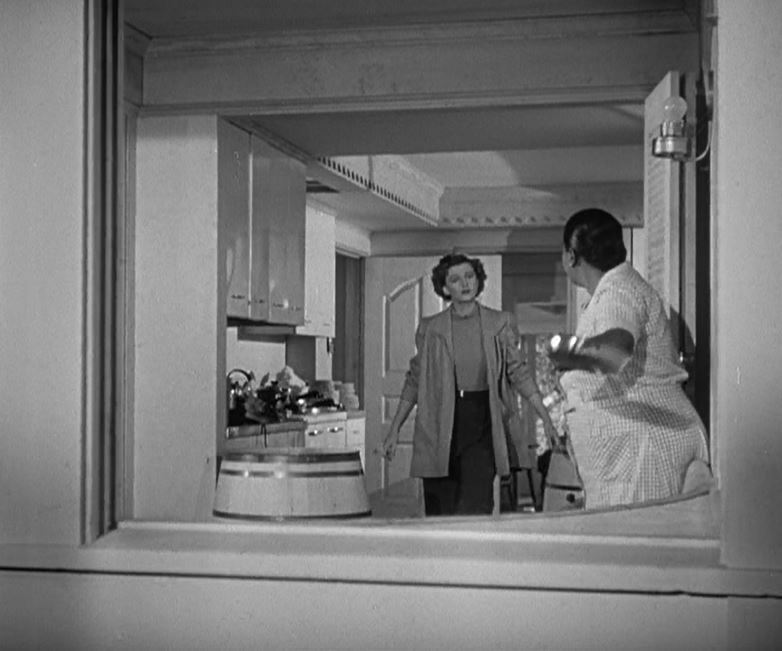 That’s just a screenshot from the movie, and as you’ll recall, the Blandings kept changing things around, which drove up the price! I thought it was fun to see the basic plan they started with, though. This is one of my favorite movies because my husband enjoys it so much with me, he’s a General Contractor, and gets a kick out of the prices way back when. Lovely! 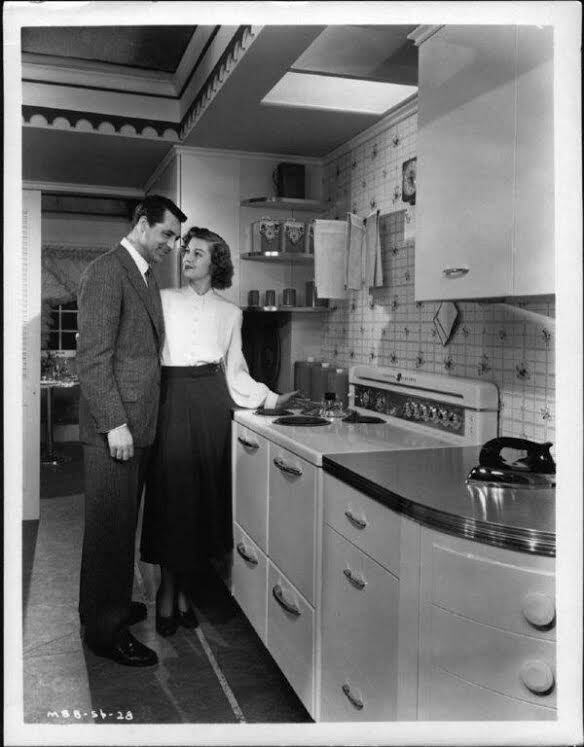 It’s a pity they removed the old kitchen, though, which was way better than the new kitchen. But what are those two guys doing on the chimneys? don’t know if this ever got posted but an architect found the original floor plans of the houses that the RKO and GE raffled off. In all the research I did, I never came across that post. So excited to see those plans — thanks, Will! This is one of my very favorite movies. 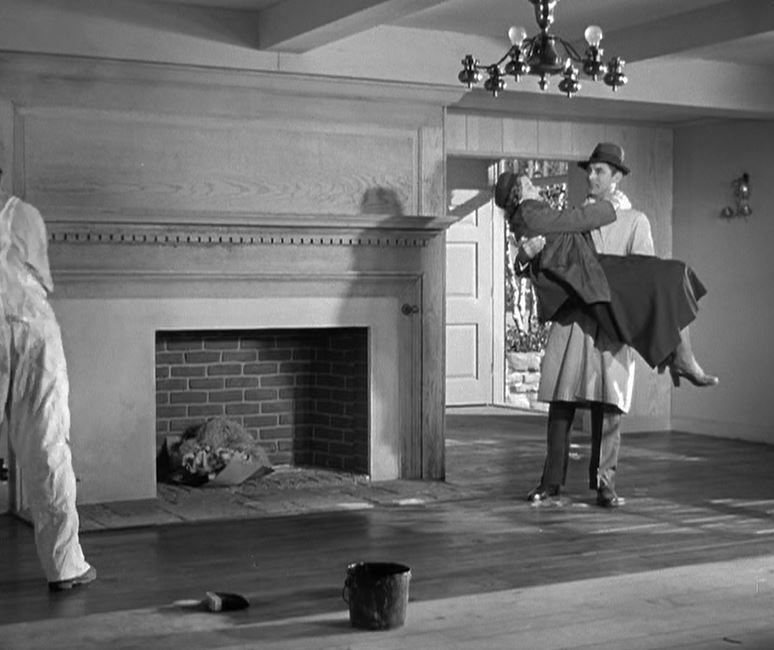 I’ve watched it many times but the best scene is when Mrs. Blandings tells the painters, in absolute detail, what colors to paint the walls. Their take on it is priceless! I live just a few minutes from the home in Ottawa Hills. That is an excellent price for a home in that particular area. I’ll have to search it out! Thanks for sharing. 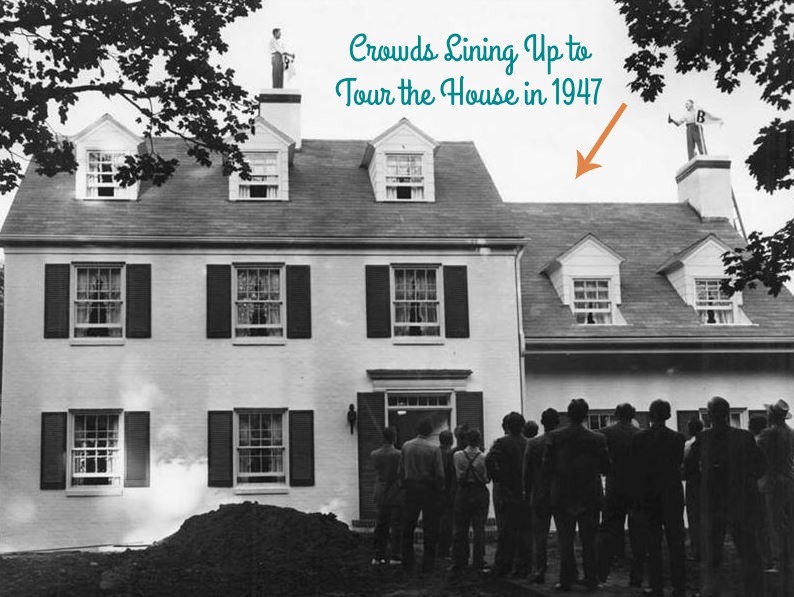 I’m a long time blog reader, so imagine my surprise when you featured a home in my town! Went to the open house. It’s a lovely home in person, too. What no pics of the Zuzz Zuzz Water Softener? 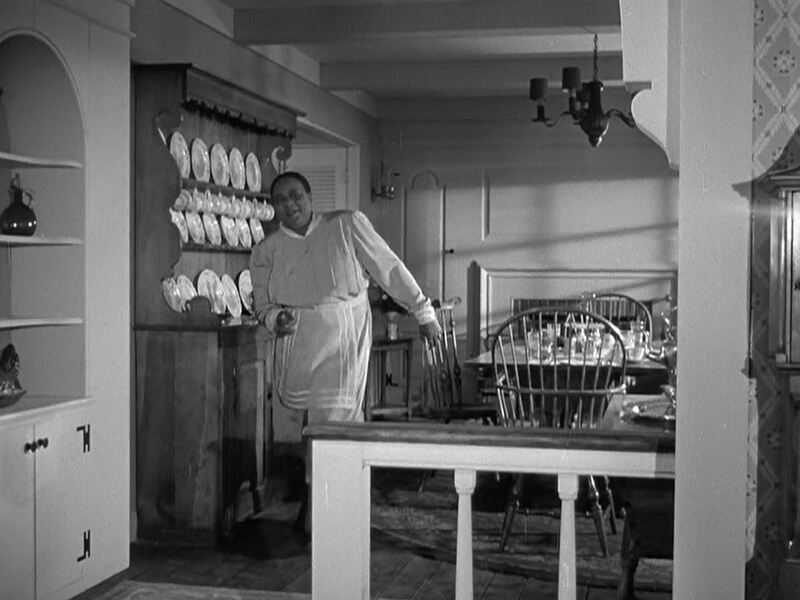 Remember, if you ain’t cookin’ with Wamm, You Ain’t Cookin’ with Ham! This movie is my absolute favorite and very near and dear to my heart. When our kids were little, we lived in a little 800 sq ft duplex. After we brought our 3rd child home from the hospital, life was a little stressful with all five of us in a 2 bedroom in such tight quarters. 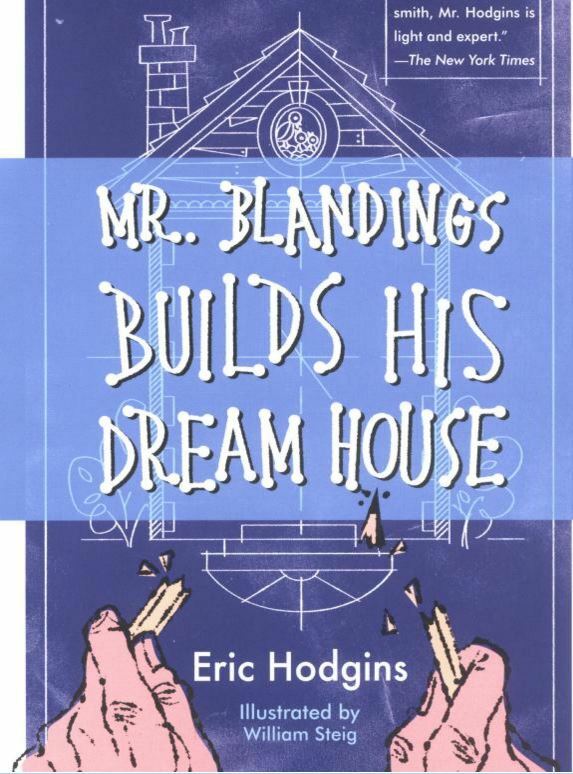 I would watch Blandings build his dream house over and over and escape into a simpler time and the dream of home ownership was enthralling. 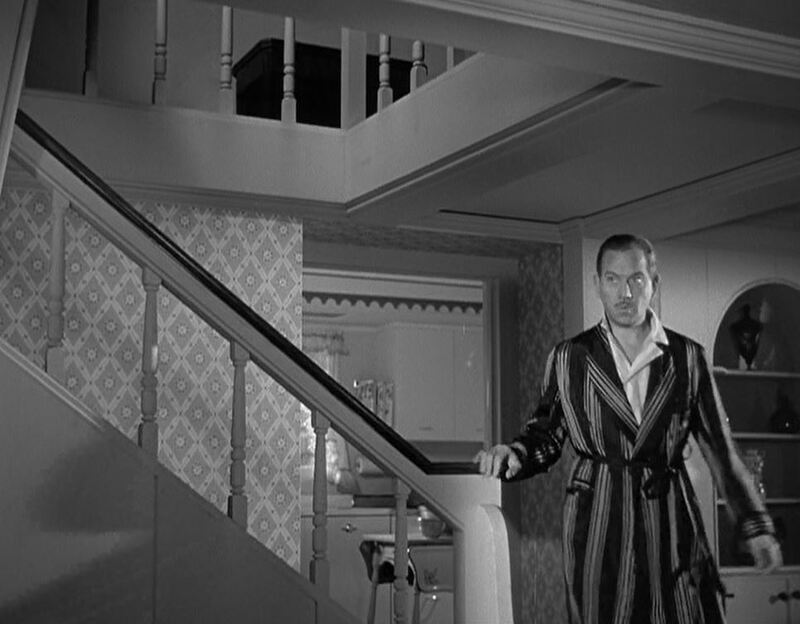 I’m such a lover of old movies and houses and this movie encapsulated both. I never tire of it! Oh and I have the book by Eric Hodgins, too!. 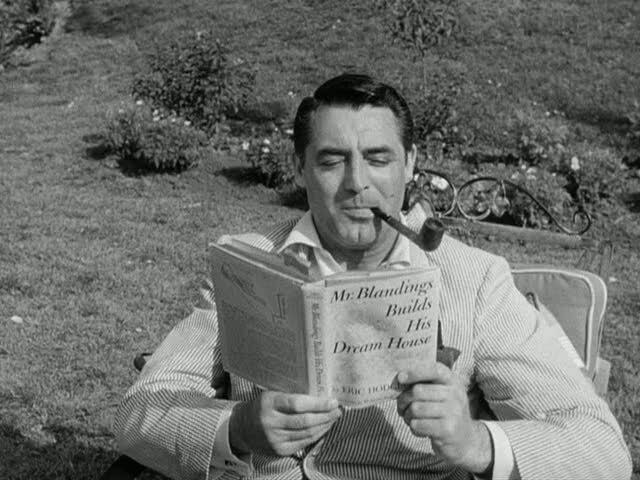 For those interested, there is a sequel book called “Blanding’s Way” which is great, too. I have both and love them. Thanks for showing us the inside of one of the replicas! I had no idea they built them! One of my favorite movies and one I watch mostly for the house. This is one of my favorite movies. I received the DVD a few years ago as a gift and also watch it around Christmas time. 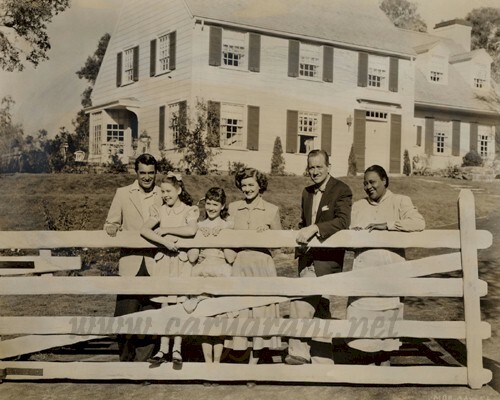 I am so fascinated by all that you found about this movie and those homes. I wonder if any of the owners were ever locked in their upstairs bathroom. Haha! 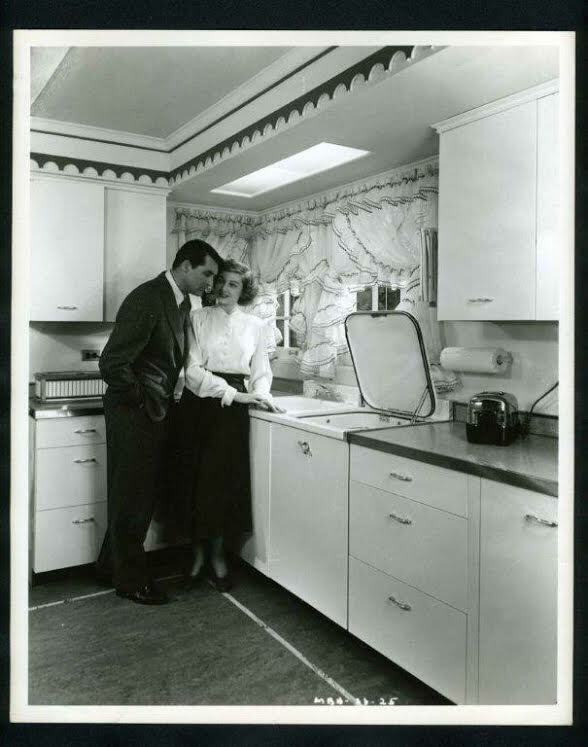 I do have some kitchen photos with Myrna Loy and Cary Grant in them from this movie – must have been some magazine advertising pitch for something (maybe appliances or decor). I would be happy to e-mail them to you if you like. 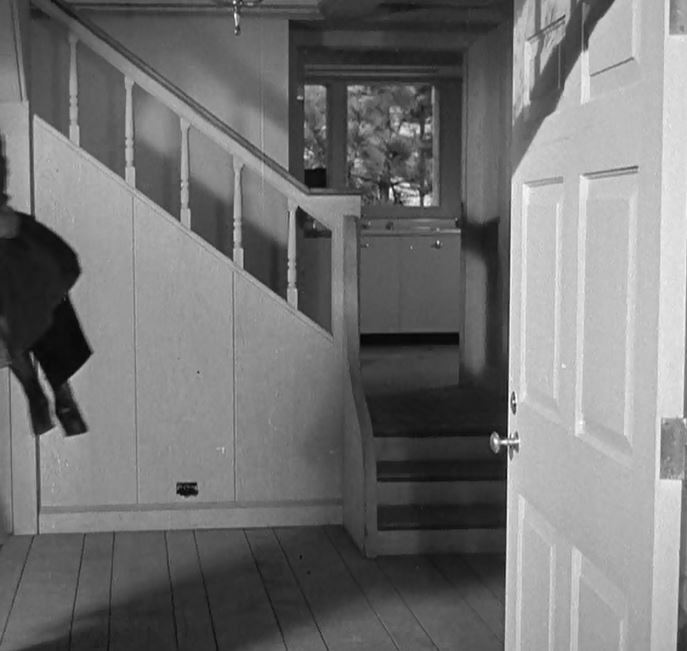 More than anything, I love seeing a house WITHOUT that darned open concept floor plan I so dislike. Give me a home like this with a kitchen, a dining room, a living room – none of which are visible to the other spaces. Yay! Love the house! I grew up in that area. It’s not far from the University of Toledo (go Rockets!). Ottawa Hills was the Upper Arlington of its day ( a Columbus neighborhood, for the folks not from the Midwest). 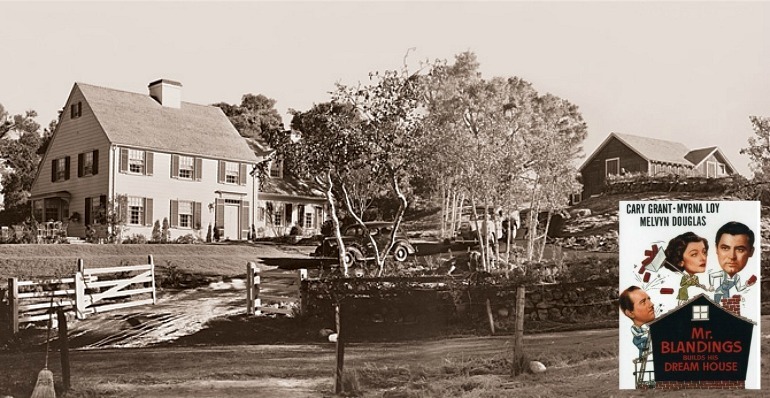 It is still filled with beautiful old homes, huge lots with mature trees and gardens. They had such better construction back then, with real craftsmen who took pride in their work. Today, it feels more like a pocket neighborhood, with its own school and police force. If you could pick it up and move it away from Toledo, I’d probably live there. Alas, perhaps Thomas Wolfe was right when he said you can’t go home again. I frequently go back to visit, though. How interesting! I never knew they built all these houses! I like this one that’s for sale. I want to find the book AND the sequel. I didn’t know there was a sequel. I like the floorplan, too, because of the separate rooms. I don’t like the modern trend of open rooms. I live in an 1889 Queen Anne! 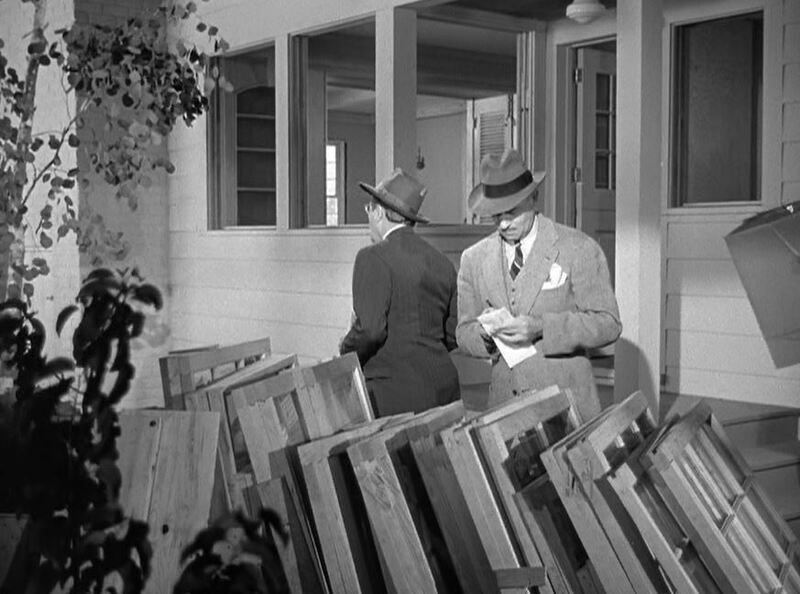 I love reading about the “movie houses” on your blog, Julia! 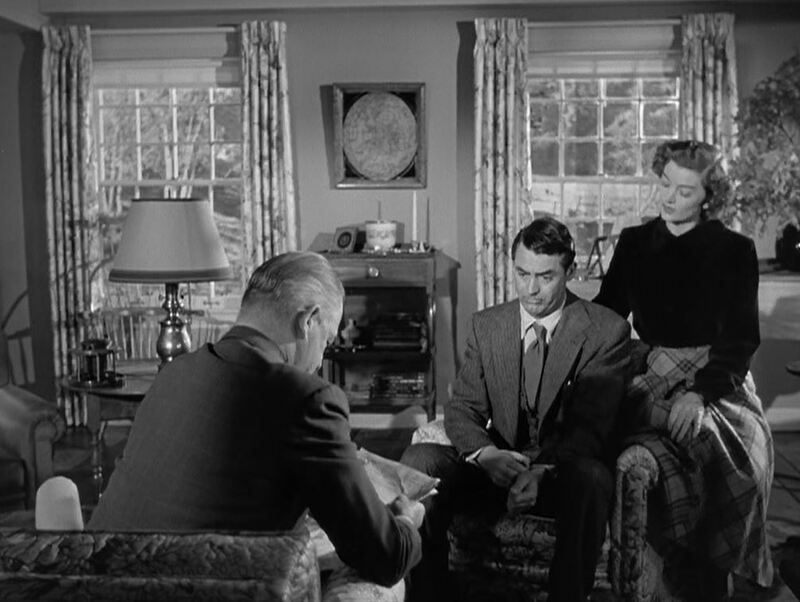 I am a big fan of this Cary Grant film, too! So fun to read your posts! 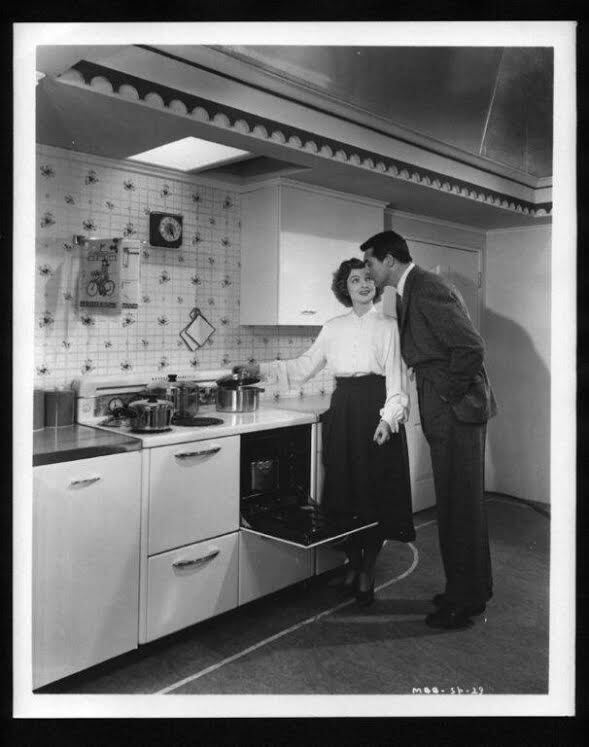 In France as we love this film, we learn much about your lifestyle to Julia’s blog, and we love the comments of readers, each week I eagerly await the Hooked on Houses, my favorite is the blog on Julia Child, I am always very touched by reading. Long and beautiful life to you all.